That’s an expression which makes me shiver when I hear it. On the surface it sounds like mild sarcasm, a bit of fake sympathy offered to somebody who might be thought of as complaining too much. It’s actually more than that. A person needs to have a little interest in language and psychology and literature to see (or hear) what else could be going on with that expression, but if ‘art imitates life’ as the cliché goes, then it seems there is more to that expression than mild sarcasm aimed at a moaner. One possible interpretation is the usage from HBO’s The Sopranos. It’s not an expression used often, but it’s the characters which use it and the context which makes it interesting and gives it the power. The Sopranos, if it is the best show made – and many argue it is – must be the best show for the writing because so many other shows are superbly filmed and acted and so on. It’s the writing, specifically the way a character’s character is exposed using language, that gives the show its standing, and some of the exposes are subtle. Here’s a for instance. Consider Tony Soprano telling his mother and anyone else who brought it up, that Green Grove – the expensive facility he sends her to in the first series – is not a nursing home, ‘It’s a retirement community!’. There are several instances like this throughout the six seasons. The character had to correct his mother and everyone else about the kind of facility he sent her to because he was trying to convince himself his decision to move her was a kinder decision than his conscience felt it was. That might sound simple, but it’s more complicated. 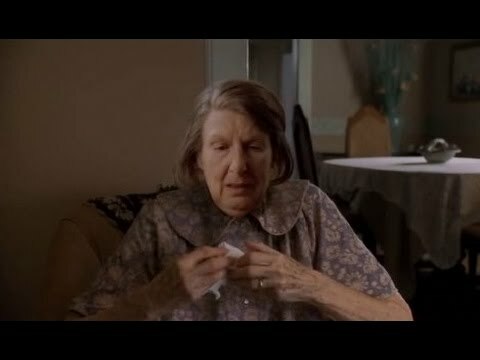 Tony Soprano’s entire character – everything he does and the way he does it, his success in the ‘business’ – is predicated on the denial of the fact his mother didn’t love him. He knows she didn’t, but won’t accept it, and the conflicts, the panic attacks, the ‘displaced rage’ all stem from this refusal accept what he knows is true. It takes the character almost the entire six series to accept this: his constant correction of people who talk about about what kind of place he sends his mother to is a linguistic clue to a deeper psychological problem which hasn’t been solved or resolved. He can’t make his mother love him, but he can accept she didn’t, and this acceptance does eventually happen. The linguistic clues then change to show that, under the psychological surface, there’s a been a huge change. So what of the expression, ‘oh, poor you’? The writers use the expression in a similar way as mentioned in that it’s used as the linguistic clue to a deeper problem. ‘Oh, poor you’ isn’t mild sarcasm thrown at a person who’s moaning too much, it’s the mask dropping and the monster revealing its real face and real nature, but only for a moment. And that real nature could be described as unpleasant. It’s an expression which means ‘I don’t care how you feel!’ And this isn’t because the person cares only for themselves, but because the person can’t care about others and their feelings. It’s the three words which reveal the speaker is really bereft of positivity and all their smiling and laughing is faked. It reveals something to us, the audience, while the speaker and the person to whom it is addressed do not recognise it for what it is, thus making it a narrow, yet extraordinarily deep example of dramatic irony.